When it comes to the increasingly complex task of managing data storage, many small and midsize organizations face even greater challenges than large, global enterprises. 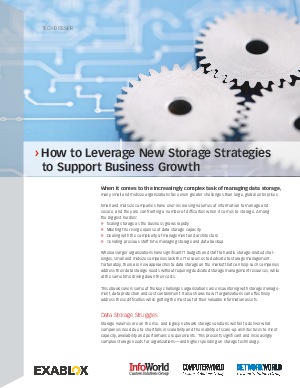 This ebook covers some of the key challenges organizations are encountering with storage management, data protection and cost containment. It also shows how IT organizations can effectively address these difficulties while getting the most out of their valuable information assets.